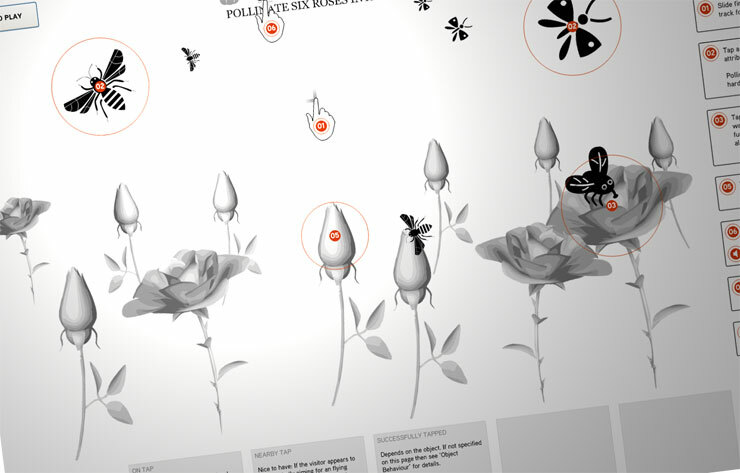 Using touch-screen technology, visitors “tapped” into a world of pollination. 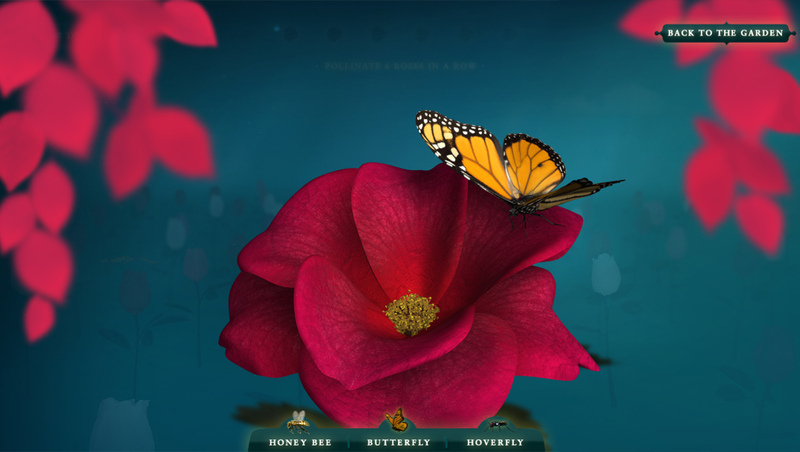 The 3D interactive featured three NZ insects – a honey bee, native hoverfly and monarch butterfly – who were let loose in an amazing virtual rose garden. 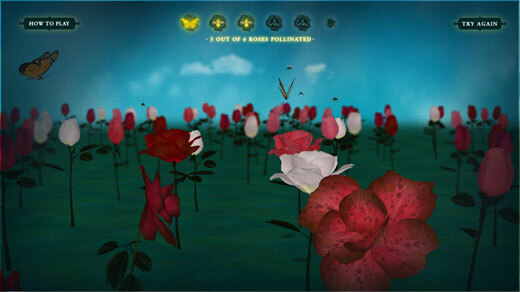 Auckland Museum and Click Suite took three common New Zealand insects – the honey bee, monarch and native hoverfly – and set them loose in an amazing virtual rose garden. 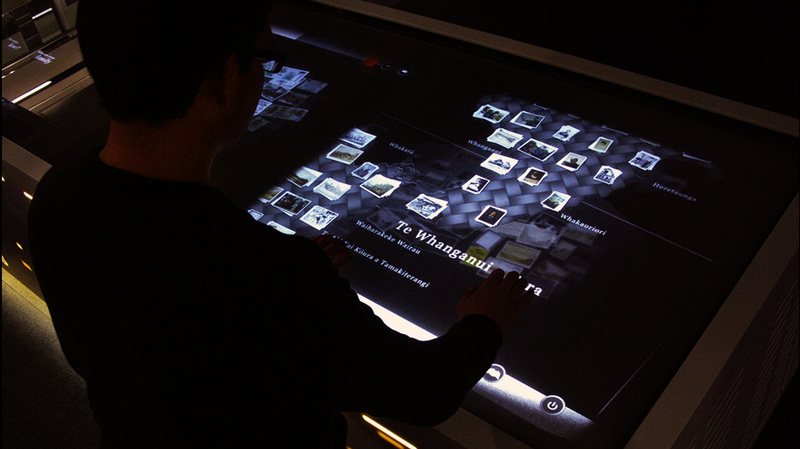 Upon entering the Wonderland exhibition visitors discovered a magical world of rose-related objects and stories from Auckland Museum’s rich collections. 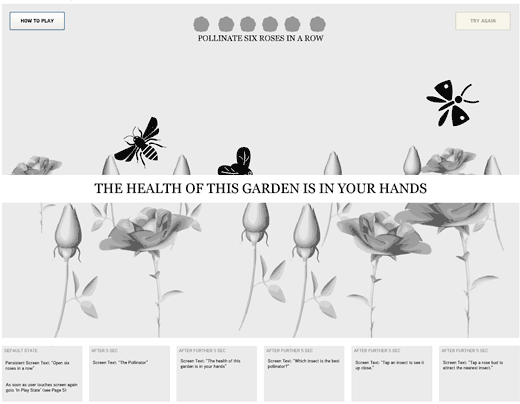 The exhibition unravelled the fascinating lineage of the Rosaceae flower family and explored fabulous tales of love, passion and secrecy that have made the rose revered by royalty, praised by poets, and enjoyed by gardeners around the world. 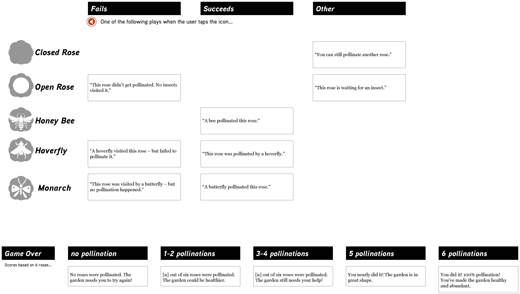 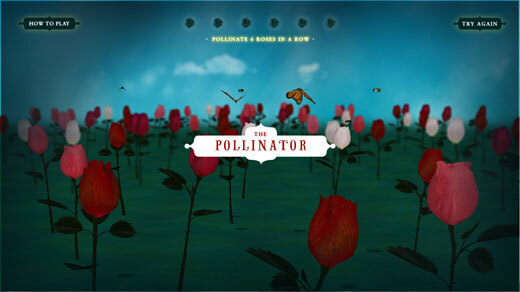 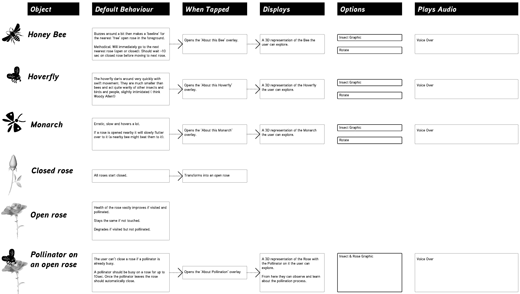 The Pollinator, designed and developed by Click Suite, was an interactive game within the exhibition. 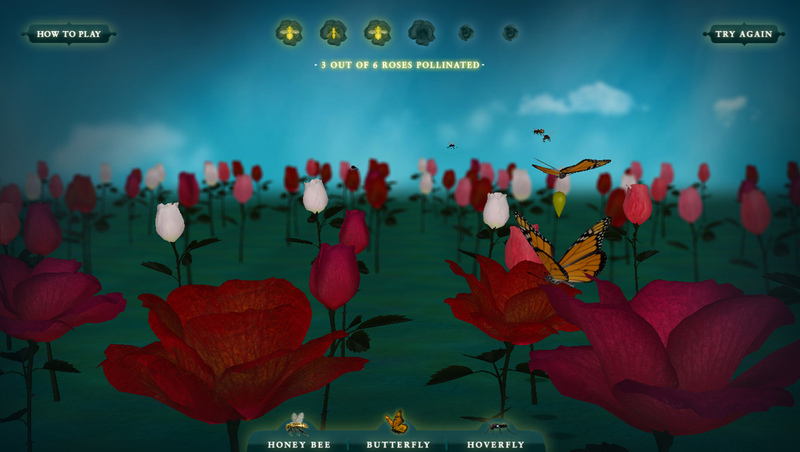 It allowed visitors to tap on a virtual rose which would then attract the nearest flying insect. 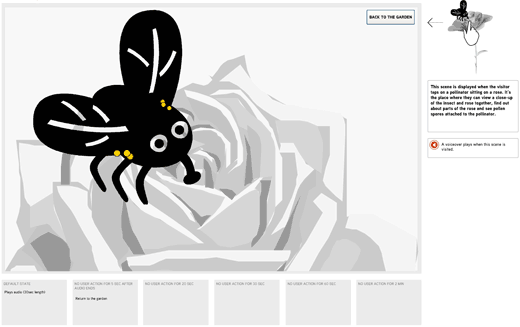 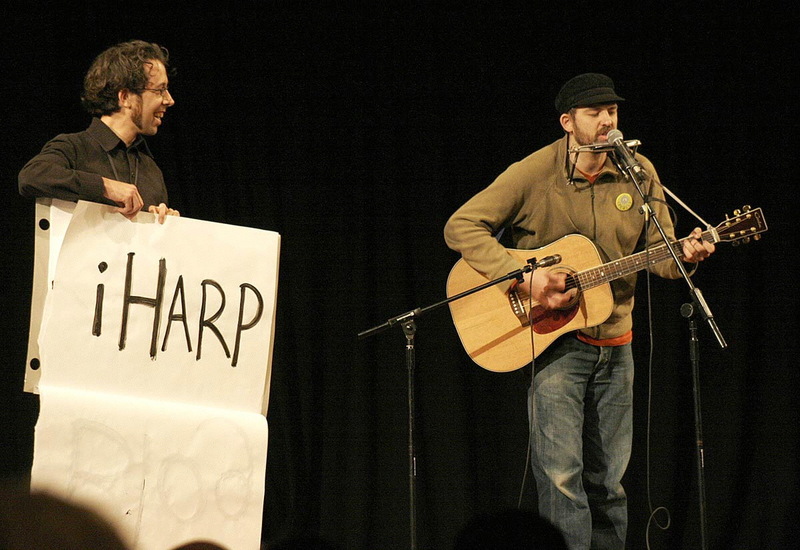 Their goal was to pollinate six roses in a row. 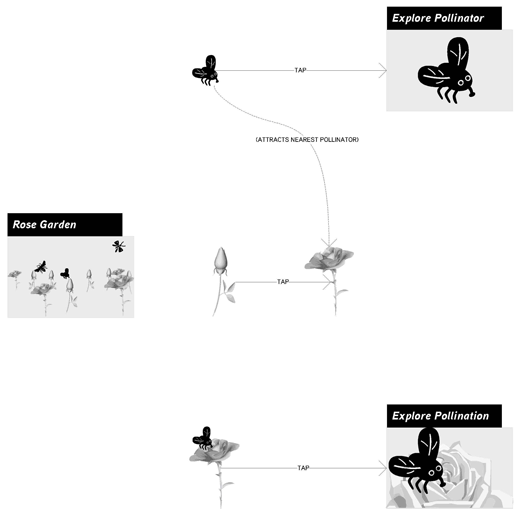 Achieving this took a bit of knowledge, timing and strategy to ensure their roses would be successfully pollinated every time. 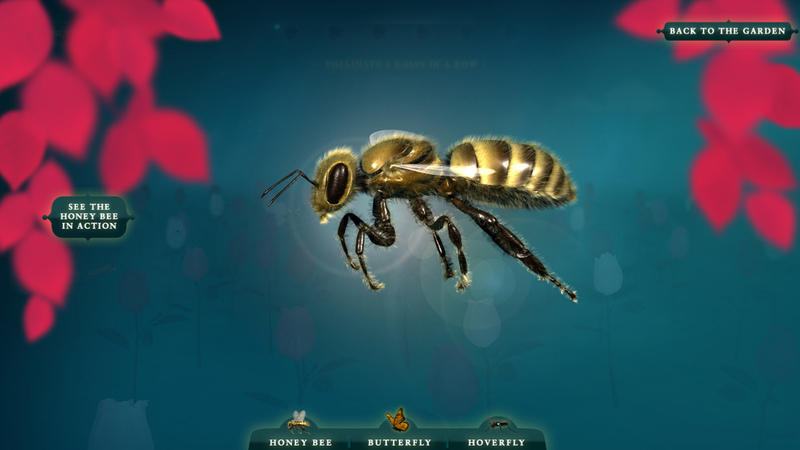 To discover which insect was the most effective pollinator, visitors could listen to Miranda Harcourt telling the story of each insect while viewing it in crystal-clear 3-D. 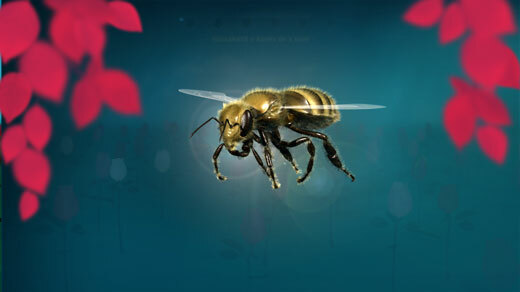 The never-ending rose garden could also be navigated in spectacular 3-D and allowed visitors to take a peek inside each rose to see the pollinator at work. 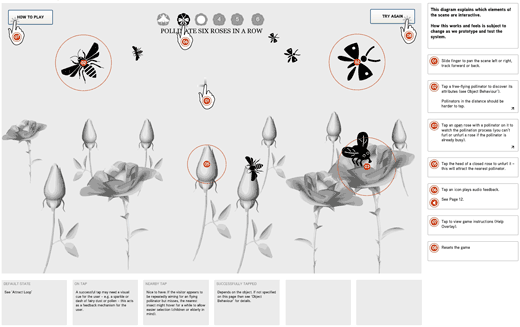 The large touch-screen allowed visitors to pan and zoom around the gorgeous rose garden with the curious insects following them around as they explored.